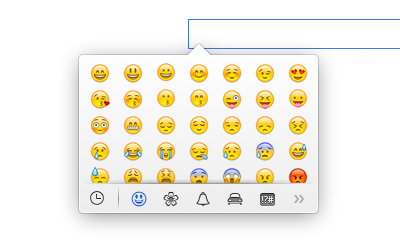 It would be nice to have system wide support for Emoji. Emoji input should be more prominent in places where it is common, such as chat and email. However, it should be possible everywhere. Input with a variety of input devices: keyboard, pointing device, touchscreen. 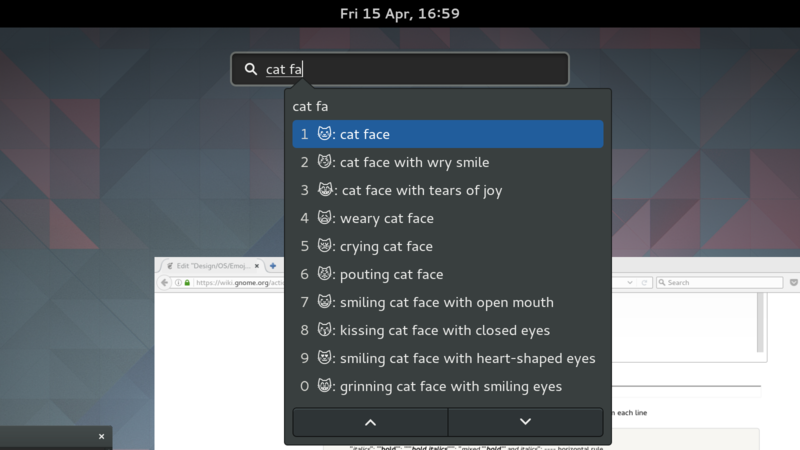 Support displaying emoji wherever text is displayed. 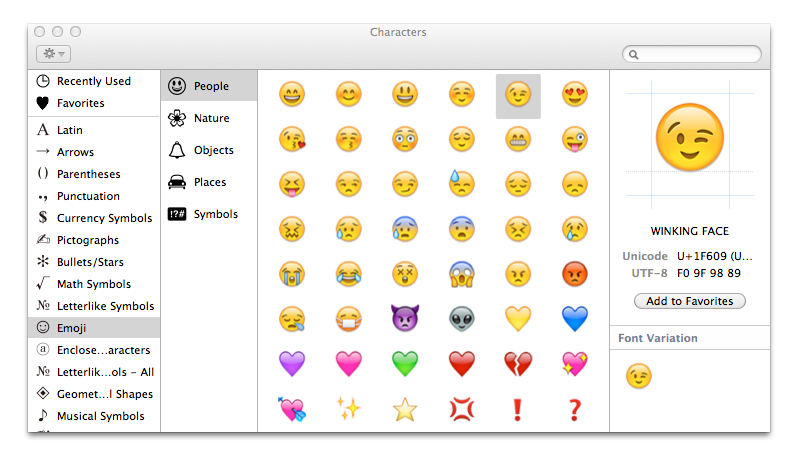 For design of emoji characters themselves, see /Artwork. Could this be part of CharacterMap? 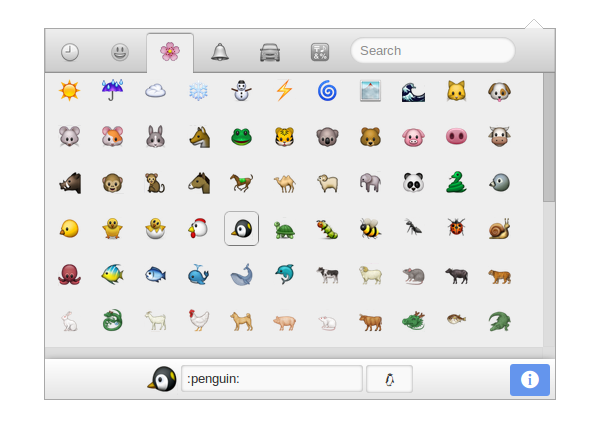 Emoji chooser popover - can be accessible from a dedicated button and through a system shortcut. Characters - should have a section for copying emoji to the clipboard. Automatically convert text. For example: :) is converted to . Automatically convert emoji codes. For example: :grin: is converted to .